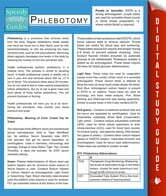 Phlebotomy refers to the process of puncturing a vein and extracting blood. 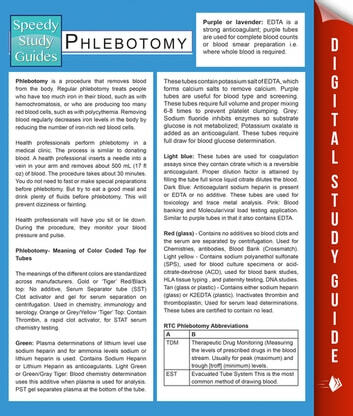 A phlebotomy reference guide that contained diagrams of the major veins would be very helpful to anyone who is planning to pursue a career in a health/medical field. Learning how much blood is needed for each test and what the different colored test tubes are used for would also be an easier task when you could refer to a guidebook. This type of resource could also be used for teaching or independent studies.